Trailing a dominant front-runner, a presidential candidate announces his running mate early, hoping to upend the race and win at an open convention. Ted Cruz's decision to tap Carly Fiorina on Wednesday is certainly unconventional, but not unprecedented — it echoes Ronald Reagan's gambit heading into the 1976 convention, a history that offers cautionary notes for Cruz. Reagan finished the primaries as both a beloved conservative and party underdog, trailing incumbent President Gerald Ford by 100 delegates. On July 27, 1976, a few weeks before the GOP convention, Reagan held a press conference to announce he was picking Richard Schweiker, a liberal Republican from Pennsylvania, to be his running mate. "The people and the delegates have a right to know, in advance of the convention, who a nominee's vice presidential choice would be," Reagan said, explaining his logic for "departing from tradition" to announce the pick early. Reagan's unprecedented decision captivated the nation, changing the race in ways large and small. The Secret Service began guarding Schweiker immediately; Reagan allies sold the move as new thinking and bold leadership; and many Americans — including Republican delegates — ultimately rebuffed the move. When Reagan made his announcement, it was immediately greeted as a high-stakes political gambit. "A last-minute desperation gamble," the Chicago Tribune reported, while The New York Times headlined the news as a "total surprise" designed to "lure delegates." At the time, Pennsylvania's uncommitted delegates leaned towards Ford. Many political observers interpreted the selection as a clumsy attempt by Reagan to score delegates in a key state. Cruz faces a similar risk. If Republicans think Fiorina is merely a play for California — which awards 172 delegates in June, more than any other state — the choice could look more political than presidential. It's not even clear she would make a big impact in the state. "Carly left after she lost by a million votes," Barbara Boxer tweeted on Wednesday, citing her 20-point victory over Fiorina in California's 2010 Senate race. 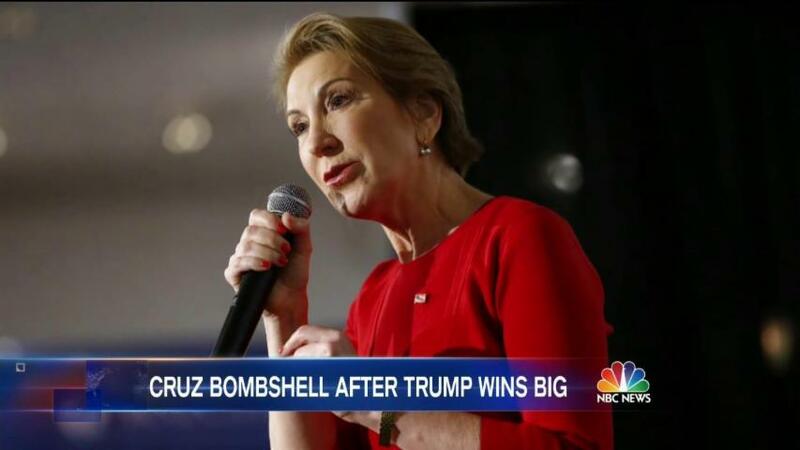 Cruz thinks Fiorina will help in California. Maybe he doesn't know Carly left after she lost by a million votes? More broadly, in 1976, many Republican activists simply felt Schweiker was too liberal. The pick was seen as a sign Reagan reached too far in pursuit of an ideological "unity ticket." The choice drew criticism from prominent conservatives who were sympathetic to Reagan, including Senator Jesse Holms and Ohio Congressman John Ashbrook, as Craig Shirley documents in his history of Reagan's first campaign, "Reagan's Revolution." As a businesswoman who has never held office, Fiorina doesn't bring a record that could similarly offend the base. Yet like Schweiker, she could still prove to be a partner who subtracts more than she adds, having lost two races and lacking any concrete bloc of voters to offer. As for Reagan, even when his pick drew fire, he only doubled down. 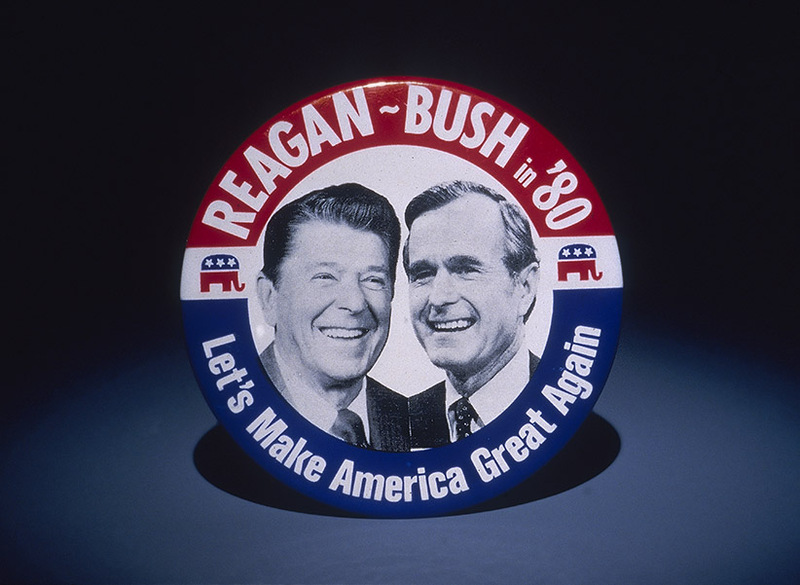 In fact, the Reagan campaign made his running mate gambit the centerpiece of its convention strategy. Reagan strategist Harry Dent told delegates the rule fight "was going to be the battle" to push Reagan over the top at the convention, as reporter Jules Witcover recounts in "Marathon," a history of the 1976 race. Reagan's aides proposed delegates pass a new convention rule, which would force Ford to name an early running mate, too. They hoped that first, the rule fight would put Ford on the defensive, making him look like he had to keep up with Reagan; and second, if Ford did name a running mate early, then he would lose delegates unhappy with the pick, and lose politicians who had hoped they would be the running mate. That is not how the rule fight played out. It actually backfired on Reagan further, publicly underscoring the poor position he'd chosen for himself. "Just because he did a stupid thing, doesn't mean every other candidate should do it," recalls Stephen Hess, a Ford adviser who managed the GOP Platform in 1976. 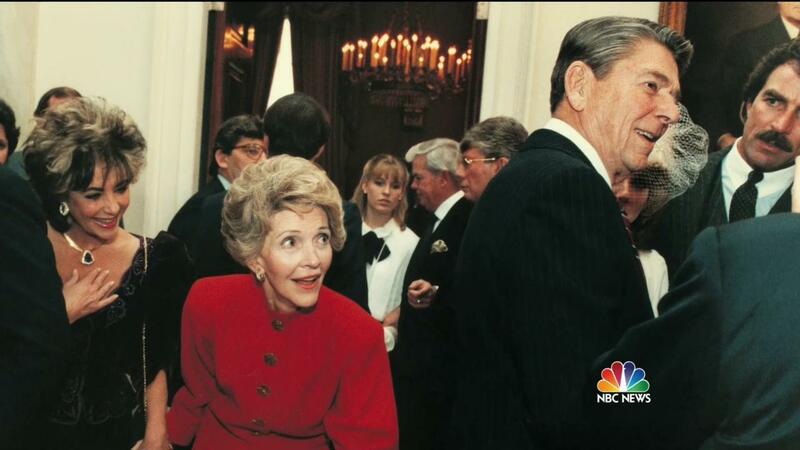 "It was a 'misery loves company' amendment," Hess tells MSNBC, reflecting on how Reagan's gambit was viewed at the convention. At a meeting at the convention, a South Carolina delegate said Reagan's proposal "changed the rules in the middle of the game," which many delegates believed was unfair, drawing the "biggest applause" of the day, according to a Washington Post report at the time. That long-forgotten scuffle shows how close primaries easily devolve into fights over party rules, just as Trump has been blasting the delegate rules as unfair. The Reagan team pushed on, forcing a floor vote on the proposal by all the delegates. Reagan lost the proposal by 111 votes, and it would prove to be a fatal harbinger for his candidacy. The vote showed that Reagan could not muster a majority of delegates on the floor, and blunted whatever momentum he may have had. As The New York Times reported at the time, the vote was "a crucial test of strength" for Ford's delegates, who proved they had a working majority by beating back Reagan's running mate rule. Ford went on to clinch the nomination on the first ballot by 117 votes — almost the exact same margin as his victory over Reagan's proposal. During the convention's most iconic moment, when Ford invited Reagan onstage to address the delegates after his own acceptance speech, Reagan was careful to acknowledge Ford's newly announced running mate, Bob Dole, as "Mr. Vice President-to-be." The line was not only a gracious nod to Ford's ticket, it underscored the prominence of the running mate selection — the first governing decision any would-be president makes. Reagan made the decision in a rush, and paid for it. The next time he ran for president, he returned to tradition, tapping George Bush only after he secured the nomination, and announcing the pick on the last day of that year's convention. The convention's official theme: "Let's Make America Great Again."